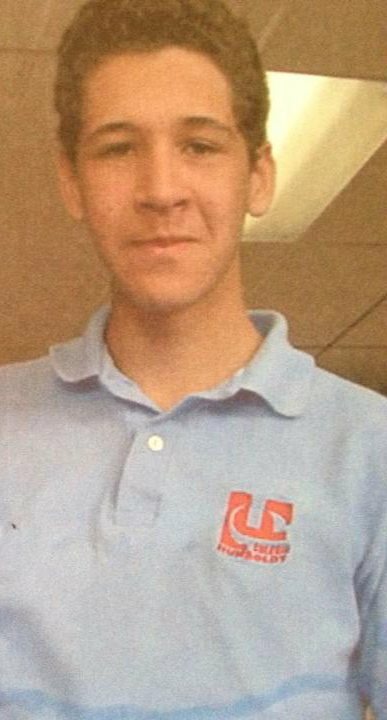 A word from the editor: Back in Venezuela where I grew up, I was fortunate enough to have a personalised polo shirt, jeans (jeans!) and trainers as my school uniform. It may not sound too radical, but let me tell you it was quite liberal when compared to other institutes. But back then — as it usually happens with teenagers — I didn’t appreciate it. It wasn’t until much later (after I graduated) that I realised just how comfortable and cool my uniform was. Harald circa 2000 – Puberty wasn’t very kind to me…. These and many other reasons is why I don’t think twice about recommending polo shirts as school uniforms. * The Venezuelan educational system divides students into four groups identified by colours. Red shirt: preparatory, white shirt: prep school, blue shirt: senior school, beige shirt: last two years of senior school. For most kids, it is a proud moment when you move from one colour to the next. School uniforms need to be comfortable and durable while at the same time reflect the values of the school. 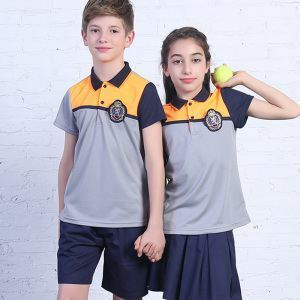 Embroidered polo shirts are a staple of lots of schools’ uniforms, with added options like sweatshirts, T-shirts, shorts, skirts and dresses that can also include logo embroidery to unify all the garments. Easy to wear – loose enough to allow children to wear a vest under it and a sweatshirt or cardigan on top during the colder months. Easy to care for – the last thing mums and dads want is a school uniform that needs special washing or ironing. Embroidered polo shirts for school need to be fast drying, non-fading, and non-iron. A cool design – just about everybody, even kids, want to look nice. Affordable – when September comes there’s always the cost of school uniform to consider. Parents want to know they’re getting value for money when buying school uniforms. Practical – These clothes put up with a lot of wear and tear. It’s probably not many kids’ top priority to make sure they don’t scuff their shoes or rip their clothes when there’s racing around the playground to be done. A good fit – children come in all shapes and sizes. In the UK it’s a fact that many children are larger than in the past, meaning they need bigger sizes and comfortable clothes. By the way, do you need Polo Shirts? ? Printsome’s embroidered polos are perfect for souvenirs, merchandise and staff uniforms, among many other possibilities. Visit our website to find out more. In other words, look at other school’s uniforms and see what they’re doing especially nearby schools. 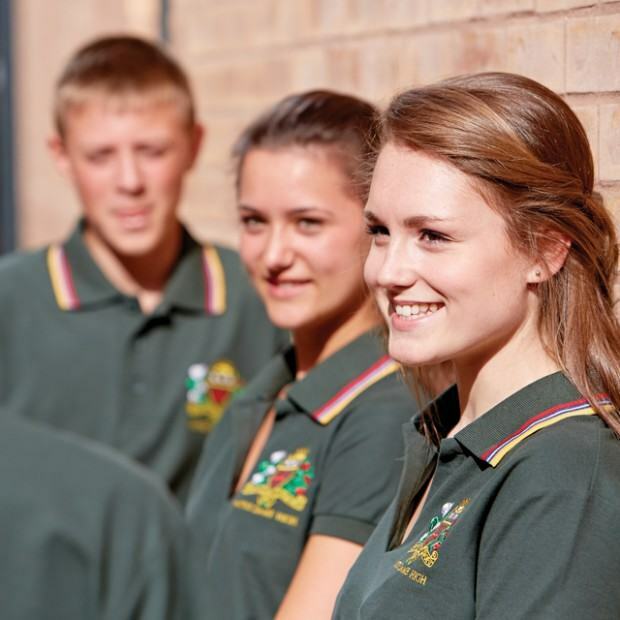 If another local school has navy blue embroidered polo shirts, your school needs to be different to stand out. How many children come home from school looking as pristine as when they left in the morning? (Even grown-ups don’t a lot of the time!) That’s why these tones work better as they don’t show the dirt. Why we ask, are so many school shirts white? Let your ideas flow and design something special that the kids will love. To save on costs, limit the number of colours you use. Why not hold a competition and let the kids design their own school uniform? This is a great way to get them involved in the ethics of the school and create something they’re proud to wear. Or maybe parents and teachers could come up with the attire together, to create a sense of camaraderie and give parents input into their child’s school. Now you’ve got some hints and tips for school uniform design start creating! Just in case you need a little more of a boost, check out these great examples of school uniforms to get inspired. It’s more and more common to see girls and boys wearing exactly the same school uniform from head to toe. But unisex doesn’t have to mean boring and plain. These polo shirts are the perfect example of how you can be creative and create clothing that boys and girls alike will want to wear. 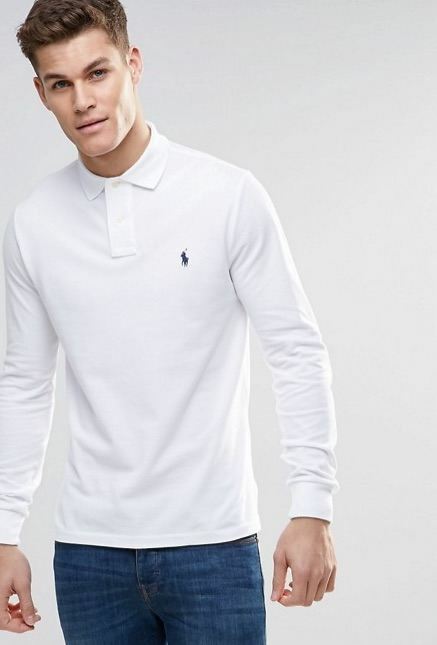 When we think of polo shirts, we often think of short “tennis” version, if you will, but long sleeved polo shirts also exist and they’re a great option for the colder months of the year. These school uniform polo shirts get an extra pop of colour from the stripes on the collar. This is a great place to add your school colours and make the shirts a bit more interesting. 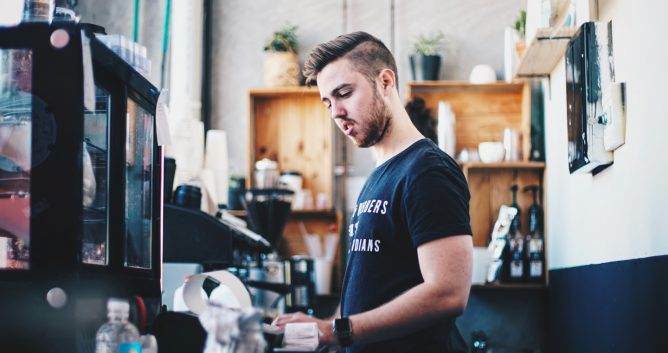 Most polo shirts are made of piqué, which is the tightly knit fabric that looks like a honeycomb when looked from up close, but they’re not the only option. Jersey and viscose polo shirts are softer and breathe better which makes them more suitable for warm weathers and sports. If you want to find out more about the differences between the two, read the article we wrote on the subject. Less is more, as they say. This simple white polo shirt won’t get any points for creativity, but at the end of the day these kids are going to school not fashion week. Let their grades stand out not their looks. Thanks to our five years of experience in the T-Shirt printing industry, we are now able to cater towards the needs of modern start-ups and businesses. Printsome’s polo-embroidery services are perfect for producing staff uniforms and sports kits, among many other possibilities. 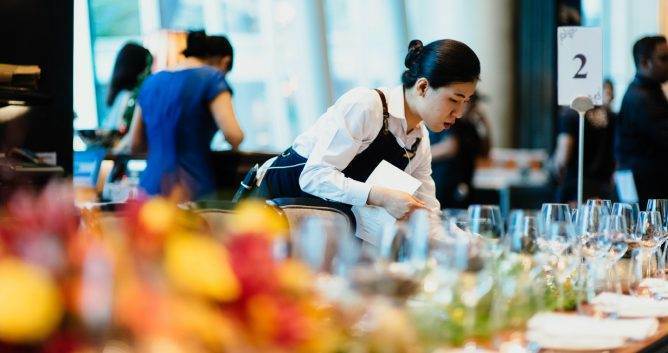 Is personalised workwear an effective marketing tool?